The factory is located at scenic surroundings at 138 Roz-Ka-Meo, lndl. Area, Sohna Dist. Gurgaon (Haryana) in India. This is less than 30 km from international airport of New Delhi.Advik Laboratories has facility to manufacture a wide range of pharmaceuticals formulations in Tablets, Capsules and Dry Syrups. The total area of the plot is 2 acres & approximate constructed area is 75,000 Sq. Ft. with central air-conditioning. The building comprises of ground floor, first floor and second floor. The factory's lay out plan was prepared by the company's technical staff and is in accordance with the requirements laid down by WHO - GMP / USFDA. The ground floor has provisions for the production and in-process control section for the manufacturing of steroidal & non-steroidal formulations, change room for gents & ladies and stores for raw & packing materials. The first floor has provision for the production and in-process control section for the manufacturing of Ampicillin & Non-Ampicillin capsules & dry syrup preparations. The second floor has provision for quality control & about 12000 Sq. 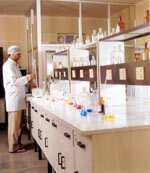 Ft. area is presently being reserved for the manufacture of injectables & ointments in the second phase. (i) Training Hall for 100 employees with screening facility. (ii) Separate rest rooms for production incharge and maintenance engineers. (iii) Separate canteen facility for officers. 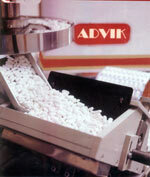 The people at Advik Laboratories are their biggest strength. The company is run by strong management team of technocrats and experienced persons in the area of pharmaceuticals, business management, banking and finance. With a perfect blend of talents in its management team, Advik Laboratories is poised to emerge as quality product company. Water: The water available on the site is of potable quality & is available in abundance. An additional tube well has been provided for any additional water supply. An overhead tank and an under ground storage tank are provided to meet plant water requirements. Soft Water: A water softening plant has been installed to provide water to cooling towers, boiler & chilled water for air-conditioning. Demineralisation water plant: A multi bed demineralisation plant has been installed to provide demineralised water for the production process. Air conditioning & environment control: Air -conditioners & dehumidifiers have been provided to maintain the required temperature & humidity in the various areas. Compressed -air & vacuum: An air compressor & vacuum pumps have been provided to the areas where required. Electricity: We have been sanctioned 500KVA electrical load from Haryana State Electricity Board. In addition, the company has provided 285 KVA Diesel Generator set, so that power is available in the event of power failure. A separate 30 KVA gen. set has been provided for other services. 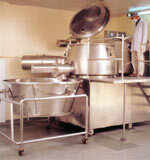 All the product are manufactured as per the laid down and validated procedures. Quality control department is run by an independent head who reports to the General Manager. There are inprocess checks in order to ensure that proper procedures are being followed. Production people carry out these check of their own. Inprocess supervisors independently do the checking and verify that whatever is done is as per the laid down procedures. All finished goods are tested as per specifications. We have made our specifications more stringent by introducing extra test and reducing certain limits prescribed in the various pharmacopoeia. Only after the finished goods is approved by quality control department it is released for packing. All packing lines are cleared and checked by inprocess supervisor /quality control personnel in order to ensure that previous batch is left on the machine or conveyor. 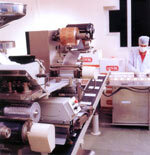 Packing is carried out as per standard procedures. Quality of water that we use in the plant is also of a very high standard. We have installed a multicolumn DM Water plant from M/s lon Exchange. Final water is sterilised by UV radiations. We have made specification of all the raw materials, excipients and packing materials & procuring them as per specifications. We have validated our vendors/ supplies and procure materials only from the approved suppliers. This ensures material quality as per our specifications.